Notwithstanding alarm bells from Indian Coast Guard, Ministry of Defence which raised objection against entry of end-of-life vessel M.V. Blossom (ex-Orange Blossom), IMO No. 8407930 in Indian waters in violation of Hon’ble Supreme Court’s order, Shipbreaking Code 2013 and Basel Convention, the dead ship has been beached on Alang beach, Bhavnagar, Gujarat. This ship was built in 1985. It entered Indian waters from Singapore. It previous owner is supposedly from Sharjah and it was previously owned by Opus Shipping Ltd, London. This appears shady because the official of M/s Silver Star Martime who communicated belatedly on their behalf used a Gmail email ID and not a company ID and did not disclose his name. Notably, all vessels calling Indian Ports are to submit Per Arrival Notification of Security (PANS) to jurisdiction port, Indian Coast Guard and Indian Navy at least 96 hours in advance when entering from foreign port and 24 hours when entering from Indian Port as per the circular of Directorate of Shipping in force. Besides this as per the Shipbreaking Code 2013 when any ship is coming for breaking in India, the vessel Master/owner are required to inform the Maritime Rescue Coordination Centre (MRCC), Mumbai, Indian Coast Guard, Ministry of Defence prior entering Indian Search and Rescue Region (SRR). MV Blossom, the dubious ship has failed to do so. As per Code, prior information must be provided 21 days before entry into India waters. MRCC, Mumbai, Indian Coast Guard, Ministry of Defence "has lodged it's observation” with “the Gujarat Maritime Board and the agents of the vessel in India for not complying to the Ship Breaking Code" 2013 created in compliance with Hon’ble Supreme Court’s order. MRCC's submission notes that as per the Code while they are required to intimate prior to entering Indian Exclusive Economic Zone (EEZ) and Search and Rescue Region (SRR), they have informed only on 17th June, 2015 whereas the ship entered Indian waters on 11th June and was off Alang as of 19th June, 2015 evening at anchor. This unequivocally establishes serious breach of maritime security. Displaying contempt towards all the relevant laws and rules in the rule book, Gujarat Maritime Board and Gujarat Pollution Control Board apparently connived to allow the beaching of this questionable ship on 20th June, 2015. The examination by MoEFCC and Indian Coast Guard is pending. The end-of-life ship in questions has bought by the same people who had bought the controversial Le Clemenceau, the asbestos laden French Aircraft carrier which had to be recalled from the Indian waters by the French authorities. The sellers and not undertaken the required prior decontamination in the country of export. MV Blossom has been beached on Plot No. 81. Earlier, responding to a letter from ToxicsWatch Alliance (TWA) had alerted Union Minister of Environment, Forests & Climate Change through its letter dated 18TH June, 2015. TWA got a response dated 19th June, 2015 which was copied to Secretary, MoEFC. TWA has demanded probe as to whether MV Blossom has undergone prior decontamination in the country of export as per Court’s order. The ship’s previous ownership, port of registry and insurance papers must be checked rigorously. TWA has shared documents with the concerned authorities that reveal how global shipping industry uses fake documents in complicity with ship owners and ship breakers are compromising our environmental and national security. It high time government took serious note of end-of-life vessels which present fait accompli to the law enforcement agencies by anchoring and beaching without compliance with the Shipbreaking Code 2013, relevant Court’s order and Basel Convention. Such dubious behavior must be resisted. Besides violation of Indian laws, this act of omission and commission is an act which is in contravention of Procedural Obligations under Article 6 of the UN's Basel Convention on the Control of Transboundary Movements of Hazardous Wastes and their Disposal (Basel Convention). It is clear that if a State of Export has been established then it will need to comply with Article 6 and its “prior informed consent” (PIC) regime. Coast Guard MRCC Mumbai has categorically established that this compliance has not happened in the case of entry of end-of-life vessel MV Blossom (ex-Orange Blossom). Basel Convention imposes several overarching substantive obligations that empower Parties to act upon the shipbreaking issue besides the mechanics of the PIC procedures outlined in Article. 6. It applies to the transboundary movement of ships destined for final disposal or recycling when they contain hazardous materials defined as hazardous wastes in the Convention. As such, the Convention imposes substantive obligations on all the Parties often irrespective of the Party’s status, to prevent the movement and disposal of these ships-as-hazardous-waste in contravention of the Convention. It is noteworthy that India is a Party to the Convention. It applies to wastes that are disposed of, are required to be disposed of or are intended to be disposed of, including ships. The phrase “intended to be disposed of” simply involves an interpretation of the Basel Convention’s definition of waste to specific known facts. This can be established in many ways, a contract, for example, can be evidence of intent to dispose. Additionally, acts, such as facsimile, phone call, telex or electronic mail, which show an intention to dispose, are also sufficient evidence of such intent. Preparatory actions such as cancellation or modification of insurance, a notice of destination to a port or notices given to crew can all evidence intent to dispose. A ship destined for ship breaking is an obvious example of the kind of situation for which the objectives of the Basel Convention apply. The primary purpose of the Convention is to ensure Parties take responsibility for their own hazardous waste, establish hazardous waste disposal facilities (including recycling) within their country, minimize the generation and transboundary movement of hazardous waste, and ensure that they do not export the hazards, and damage to human health and the environment, to other countries. In most cases, ships exported for shipbreaking are a clear and convincing violation of these objectives. Therefore, it is incumbent upon Government of India to ensure that all ship sales are scrutinized to ensure that no attempted circumvention of the Convention exists. Many of the Basel obligations will apply to Parties holding jurisdiction over owners, brokers, captains, crew, etc. The Basel Convention in its scope and obligations is not confined to prior-informed consent, but go far beyond this mechanical paperwork regime. All Annex VII countries, regardless of their status, e.g. State of Export, port state, etc., have obligations to take legal actions to prevent hazardous wastes, such as ships destined for disposal or recycling, from being exported and disposed (including recycling) in non-Annex VII countries. If the owners intend to dispose of a ship-as-hazardous-waste prior to its arrival at the shipbreaking state, then the Basel Convention’s obligations cannot be frustrated by simply signing an agreement, e.g. sale, charter, etc. that disguises intent to dispose, or that avoids establishing such intent prior to export by avoiding signing a written agreement. It is far too easy to hide or obscure “intent to dispose”. For instance, a ship owner may simply not announce such intent until the ship in question is in the shipbreaking state, thereby avoiding the “waste” definition, the transboundary movement and eventually, most of the obligations of the Basel Convention. In this scenario the ship’s crew and others usually are well aware of the fate of the ship destined for breaking or disposal. Cases that fit this potential circumvention scenario could be uncovered but would need to be scrutinized by the relevant authorities to do so. The end-of-life ship itself is considered “hazardous waste” under Article 1(1) of the Basel Convention, and not only the individual hazardous substance that forms part of or that exists on board a vessel. Basel Convention obligates the Parties, irrespective of their status (e.g. State of Export, Import, Transit, flag or port state), to prohibit or not perm it the export of hazardous and other wastes to Parties, which have prohibited the import of such wastes (Article 4(1)(b)). It obligates the Parties, irrespective of their status, to prohibit or not permit such export where the State of Import does not consent in writing to the specific import (Art. 4 (1) (c)). It requires that Parties must ensure that the transboundary movement of hazardous waste and other wastes is reduced to the minimum consistent with the environmentally sound and efficient management of such wastes, and is conducted in a manner which will protect hum an health and the environment against the adverse effects which may result from such movement (Article 4 (2)(d)). Irrespective of its status, a Party, is obligated not to allow the export of hazardous or other wastes if the Party has reason to believe that the wastes in question will not be managed in an environmentally sound manner (Art. 4(2) (e)). Basel Convention defines “environmentally sound management” (ESM) as “taking all practicable steps to ensure that hazardous wastes or other wastes are managed in a manner which will protect hum an health and the environment against the adverse effects which may result from such wastes.” (Art. 2(8)) It must be noted that most shipbreaking operations around the world at this time do not meet this criterion. 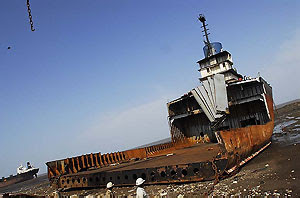 Ships destined for shipbreaking contain significant quantities of asbestos, polychlorinated biphenyls (PCBs), hydraulic fluids, paints containing lead and/or other heavy metals, tributyltin or TBT antifouling coatings, contaminated holding tanks, and other substances rendering them hazardous waste and extremely dangerous to human health and the environment when scrapped in existing shipbreaking yards. Most of the shipbreaking is taking place in countries like India, where the conditions are documented to be exceptionally dangerous and damaging to the health of the workers, surrounding com m unity, and the environment. India also has a legal obligation to prohibit illegal ship movements and must do so with respect to all persons, including corporations subject to its jurisdiction, including owners, charterers, brokers, shipping agents, and captains and crew, since under Article 4(4), each Party must take appropriate legal, administrative and other measures, including measures to prevent and punish conduct in contravention of the Convention. This is a crucial provision which should not be overlooked. The Convention allows each Party to take further action against hazardous wastes, as the Convention does not prevent any Party from imposing additional requirements beyond what is mentioned in the Convention, provided that any additional requirements are consistent with the provisions of the Convention, and is in accordance with the rules of international law, in order better to protect human health and the environment (Article 4(11)). It is well established that a state has jurisdiction over its territorial waters with respect to the preservation of the environment, prevention, reduction, and control of pollution, and protection of human health. 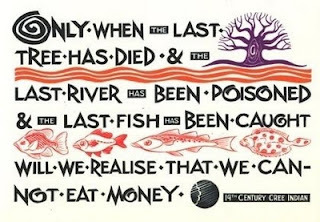 It is noteworthy that Article 23 of the Straddling Stocks Convention, 1995 which provides that a port state has the right and the duty to take measures, in accordance with international law, to promote the effectiveness of sub-regional, regional and global conservation and management measures. There is nothing to prevent a port state, in the exercise of its sovereignty and in the observance of its obligation under the Basel Convention, from requiring such consent - such a requirement is applicable to the vessel while it is in port. India being a part to the Basel Convention has consented to restrictions imposed under the Basel Convention. Article 4(7) (a) binds flag states that are Parties to the Basel Convention. Furthermore, Article 94(1) of United Nations Convention on the Law of the Sea (UNCLOS) requires that every State shall effectively exercise its jurisdiction and control in administrative, technical and social matters over ships flying its flag. Article 94(2)(b) of the UNCLOS also requires that States shall assume jurisdiction under its internal law over each ship flying its flag and its master, officers and crew in respect of administrative, technical and social matters concerning the ship. It is untenable to argue that if the hazardous waste is in the structure of the ship, the ship itself cannot be considered a hazardous waste, particularly if the hazardous material is a small concentration (by weight) of the total weight of the vessel. The Basel Convention supplies an intelligent definition in this regard, given that some highly toxic substances are disproportionately light in weight or concentration as compared to a ship’s total weight and mass, but are undiminished in their toxicity to humans and the environment, e.g. Asbestos, Tributyl tin, Dioxins etc. Thus, it abundantly clear that port states have jurisdiction over foreign vessels under the Basel Convention to require that the consent be obtained from the state where the vessel will be disposed of , and other obligations under the Convention such as ascertaining that ship-as-hazardous-waste will be destined to environmentally sound management etc., and such jurisdiction is recognized in international law. While Indian Coast Guard and Naval Intelligence have consistently raised security concerns from the entry of end-of-life ships for dismantling, the role of other agencies of the state and central government has compromised country's maritime and environmental security especially in a fragile coastal zone like Alang beach of Bhavnagar, Gujarat. It is germane to recollect that Rajya Sabha was informed on 30th April, 2015 by Ahmed Patel , Member of Parliament that "The National Institute of Occupational Health would that 15 out of ninety four examined workers confirmed indicators of illness brought on by working with asbestos” on Alang beach, Bhavnagar. This study was done on the order of Supreme Court in the matter of end-of-life ships Blue Lady (ex-SS Norway, ex SS France) in which TWA was an applicant. Notably, so far as rule of law is concerned, Basel Convention alone is valid and relevant to ship breaking industry. TWA has been working on the issue of hazardous wastes and ship breaking for over decade. It has been an invitee and participant in the UN Conventions. It is an applicant before the National Human Rights Commission (NHRC), Parliamentary Standing Committee on Science, Technology, Environment & Forests, Parliamentary Petitions Committee, Parliamentary Standing Committee on Labour and relevant UN agencies besides Inter-Ministerial Committee on Ship breaking. It was the applicant before Supreme Court wherein the order for creation of the Shipbreaking Code was passed. TWA had appeared before the Supreme Court’s Monitoring Committee on Hazardous Wastes, Court’s Technical Experts Committee on Hazardous Wastes related to Ship breaking and pursued cases involving famous ships like RIKY (Kong Frederik IX), Le Clemenceau, SS Blue Lady, Platinum II and Exxon Valdez and others. TWA appreciates and endorses MoEFCC’s position in the inter-ministerial Ship Breaking Scrap Committee, Ministry of Shipping wherein it was stated that “as a matter of policy they are not in favour of ship recycling industry breaking foreign ships in the country.” Sadly, this position is not being applied by concerned ministries when it comes to implementation. The case of MV Blossom starkly demonstrates how India’s maritime and environmental security is being compromised with impunity. TWA has written to Ministry of Defence and Ministry of Shipping in this regard. It sets a very unhealthy precedent and opens flood gates for such dead and dubious ships due to conniving and complicit officials. It is high time a high level probe unearths the rot and sets it right before it is too late. Thanks to share detailed information of violating laws and Know Your Jurisdiction to fulfill legal formalities.